1. The ‘Perspective Plan’ is an attempt to help which of the following sectors to reach its full potential? 2. The Ministry of Environment, Forest and Climate Change has recently initiated a programme to start the artificial breeding of which of the following species? 3. In the Union Budget 2018-19, it has been decided to develop and upgrade existing 22,000 rural haats into GrAMs. What does ‘G’ stands for in ‘GrAMs’? 4. 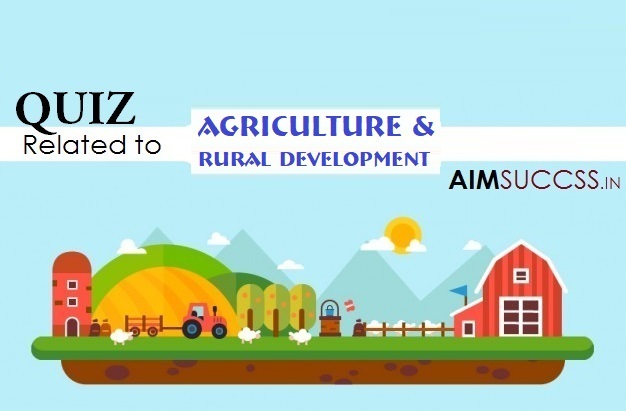 What amount has been allocated for developing and upgrading of agricultural marketing infrastructure in Union Budget 2018-19? 5. What amount has been allocated for food processing in Union Budget 2018-19? 6. Which operation has been announced in Union Budget 2018-19 to promote Farmer Producers Organizations (FPOs)? 9. What amount has been set aside for Fisheries and Aquaculture and Animal Husbandry Development Fund in Union Budget 2018-19? 10. The union govt has proposed to launch a restructured bamboo mission with a corpus of what amount to promote bamboo sector in a holistic manner?